Annagassan in Co Lout, Ireland has just been confirmed as the Viking longphort of Linn Duachaill. A longphort is a term used in Ireland for a Viking ship enclosure or shore fortress. Longphorts were originally built to serve as camps for the raiding parties in Ireland during the AD 830s. These camps were fortified areas along rivers, usually at a tributary where both sides were protected such that the Vikings could port ships. The sites were easily defended, sheltered, and gave immediate access to the sea. 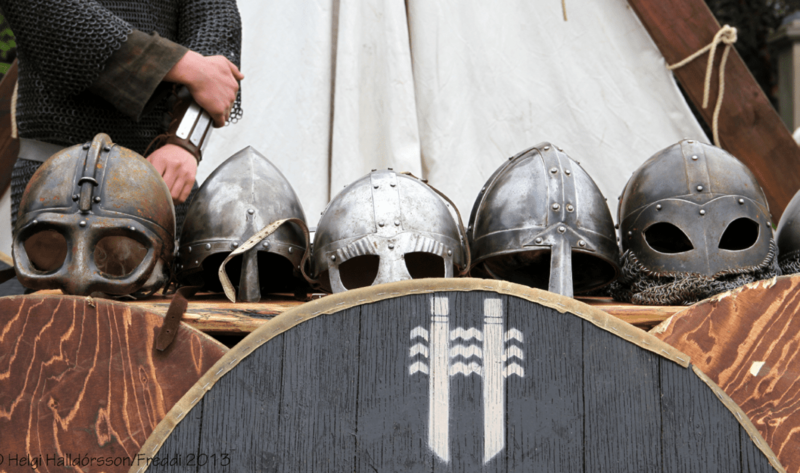 These camps would be of great importance to the Vikings during their raids of Ireland, which included attacks on many churches and monasteries located on the coast of Ireland. The longphort was essential in establishing the presence of the Vikings during these attacks which could last for an extended period of time. Linn Duachaill was built in 841 AD, the same time as the settlement of Dúbh Linn, today’s Dublin. In contrast to Dublin, the settlement was abandoned, possibly because it lacked continuous access to the sea; the river tides would have made access to the water impossible for a number of hours per day. The site was discovered in 2010, on a flat area on the River Glyde, after a team of archaeologists and a geophysicist had searched from 2005 to 2007 and found a pattern of straight ditches, unlike the usual circular forts built by the native population. A year after a series of test trenches were dug on the site, the results from radio-carbon dating have finally put to rest any doubts as to the validity of the 2010 discovery. An international conference is planned on October 22 and 23 in Dundalk to discuss the steps going forward in managing the site and the significance it will bring to understanding early Viking settlement. Dr Kelly, stated that Linn Duachaill must not involve “willy-nilly digging of holes out of curiosity. We are looking for funding for further geophysical surveys. Then with research done we can proceed by key-hole excavation”.